Managing Editor of In Military & InCyberDefense. U.S. Army and U.S. Air Force Veteran. Speaker and Veteran Advocate. Editor’s Note: This is the fourth installment of InMilitary’s ongoing entrepreneurship series. Catch up on previous veteran entrepreneur interviews. Imagine this: You have conceived a solution to a problem that millions of Americans are having. Your education, experience and military background converge to make this the right time to “go loud” with your startup company. This is your moment in history; the day that you will look back on with pride that you made the jump and started your own business. There’s only one small problem…You don’t have any money, and startup costs are expensive. The landscape of traditional bank business loans has changed since the financial meltdown that shook the nation from 2007 to 2009. 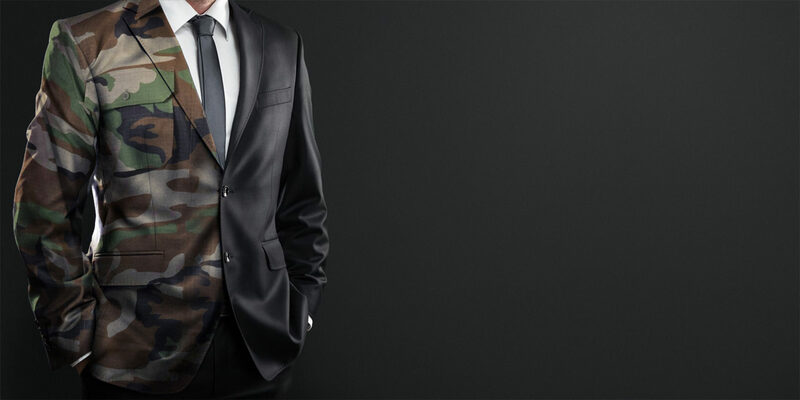 In the aftermath of the Great Recession, new and stricter lending laws and big bank consolidations have made securing a bank loan extremely difficult for recently separated veterans looking to start a business. 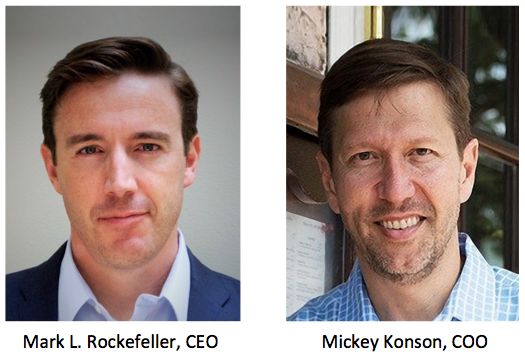 By approaching business lending in a completely novel way, StreetShares co-founder and Air Force veteran Mark L. Rockefeller and his friend and partner Mickey Konson, are breathing new life into the American dream. They are revolutionizing the way business financing is done, with a focus on veteran-owned small businesses. StreetShares takes a unique hybrid approach to investing in small business loans. The company offers the more traditional route, allowing institutions and accredited investors to invest an amount that’s tied to a specific loan and borrower. However, Rockefeller and Konson’s more interesting approach is their “Veteran Business Bonds” program, which allows everyday Americans to invest as little as $25 and as much as $500,000 at a staggering 5% interest rate. Consider for a moment that the average interest rate in a typical bank savings account is 0.06%. StreetShares then uses the bulk of these proceeds to fund small businesses. This practice translates into lower-risk financial transactions by cultivating the social loyalty that exists within the military community. From a psychological standpoint, borrowers will be less likely to default on a loan when the money is coming from their community. I recently sat down with Mark for a one-on-one interview about his startup journey and how StreetShares can help veterans get started on their dreams. Wes O’Donnell: Mark, thank you for your time today. Can you tell me a little bit about your military background? Mark Rockefeller: Absolutely, Wes, and thanks for the opportunity. I served in the Air Force for nine years as a Judge Advocate General (JAG) lawyer. I spent a lot of that time in Iraq prosecuting terrorist suspects. Wes: I was a troublemaker in the Army. JAG lawyers helped me out once or twice. (Laughter) So, with a background in law, what possessed you to get into business financing? Mark: Good question. Before law school, I had earned an MBA and an undergraduate degree in finance. But despite that, I always just felt like a born entrepreneur. I was always doing something entrepreneurial and by that, I mean solving problems. Wes: That seems to be a running theme throughout this entrepreneurship series. Other successful veteran entrepreneurs say they’re not in the “so and so” business; they’re in the problem-solving business. Mark: Exactly. After leaving the Air Force, I did a short stint at Columbia University and then I joined the law firm Milbank, Tweed, Hadley & McCloy, where I worked on the Lehman Brothers bankruptcy. It was during this time that I got some great insight into how Wall Street works and finance in action. Wes: So what problem did you identify and what was your solution? Mark: Unlike the Greatest Generation, the business environment for returning servicemembers in the 2000s was harsh. You had this entire generation of post-9/11 veterans wanting to start businesses. After the financial meltdown, banks weren’t lending at all. In addition, the JOBS Act of 2012 represented perhaps the most significant change in securities law since the 1940s. And every time there is a change, there is an opportunity. Editor’s Note: The Jumpstart Our Business Startups Act (JOBS Act) is a law intended to encourage the funding of small businesses in the United States by easing many of the country’s securities regulations. It passed with bipartisan support and was signed into law by President Barack Obama on April 5, 2012. Wes: The idea of everyday Americans investing in veteran-owned startups is intriguing. What is the thought process behind that? Mark: It started with a question. If we could allow retail investors – that is, everyday people – to invest in veteran-owned businesses, could we get better behavior out of borrowers? After all, in some cases, the money was coming directly from the veteran community. The answer is that our borrowers have an enhanced sense of obligation to pay back the loans. It’s different when the money is coming from your battle buddy and not a nameless, faceless bank or corporation. Wes: Where and when did you start StreetShares? 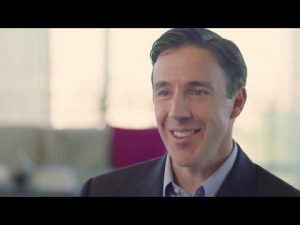 Mark: In 2013, my friend, Mickey Konson, who led Capital One’s consumer retail bank business, and I started [the company] in my basement using our savings to get started. It was super high-risk for us because we’re not twenty-somethings fresh out of the Marine Corps. (Laughter) We were in our 40s, had large families and were the sole breadwinners in our households. If we failed, it was going to hurt. I’m happy to say that today, we have dozens of employees. In January, we secured $23 million in equity funding through our Series B funding round. Editor’s Note: Series letters represent levels of funding. The letters correspond to the maturity level of the business. The funding rounds begin with a “seed capital” phase and follow with A, B and then C funding. Wes: How have you built a successful customer base? Where did those first customers come from? Wes: There are a lot of veterans who want to start a business, but it’s hard to walk away from a good paying job, especially if they have obligations like a family or mortgage. What advice would you give to them? Mark: To the extent that you can, try and start your business as a side hustle. At least until it gets big enough to where you can jump ship. It needs to be profitable enough that you can leave your current job. For me, I just had to make the plunge and devote my full attention to StreetShares. But I had the benefit of a partner helping out. I did burn through some of my savings in the first year. Wes: How does StreetShares find talent? How do you bring people into the company that care about the company in the same way that you do? Mark: Nearly every part of running this company has been harder than I expected; every part except the employee talent side. First, our company is in a metro area (Washington, DC) that is big enough to have a highly educated population. We consistently get far more applicants than positions available. Wes: Yes, this makes you like a preferred employer, like Apple or Intel, where people are lined up outside trying to get in. Mark: Precisely. And this gives us the pick of the top talent, further strengthening the company. Second, we offer something very unique to candidates, something not found everywhere. In addition to financial security, our employees can feel legitimately good about what they do here. They’re helping veteran small business specifically and Main Street USA more generally. Editor’s Note: This idea of “moral capitalism,” that is the idea that you can make money and do good at the same time, has come up once before in this entrepreneurship series in the interview with George Fox of NFW Watches. Wes: I have to ask: If you had the chance to start the business over again from scratch, is there anything you would do differently? Mark: The advice I give to entrepreneurs is to focus on the problem, not the solution. I know a lot of future business owners that go out and invent a widget and then they struggle to find a market or customers for their widget. You must understand the problem first. In the beginning, we fell in love with our own idea and perhaps didn’t spend enough time looking at the problems in our industry. For us, that would be understanding better what kind of capital people needed and when. Focus on your customer’s needs or the market. Don’t fall in love with your widget so much it blinds you. Wes: Last question: What book are you reading right now? Mark: I’m reading several. Currently, I’m reading The Power of Habit: Why We Do What We Do in Life and Business by Charles Duhigg. I’m also reading The Most Productive People in History: 18 Extraordinarily Prolific Inventors, Artists, and Entrepreneurs, From Archimedes to Elon Musk by Michael Rank. I’m reading a biography of Musk as well. Perhaps the most important book that I’m reading right now is called The 4 Disciplines of Execution: Achieving Your Wildly Important Goals by Sean Covey. This book is now required reading at StreetShares. It really talks about the importance of corporate goal setting and management systems. It’s all about establishing and maintaining focus. Wes: Mark, thank you again for your time. I love what you are doing in the veteran community. Mark: My pleasure, Wes. Thanks. Get more information on StreetShares financing options for your small business, including a Patriot Express Line of Credit, factoring and contract financing.